James L. Wise, 76-year-old Spavinaw resident, passed away Monday, March 4, 2019 at Hillcrest Hospital in Pryor, Oklahoma. He was born November 22, 1942 to James Orr and Gertrude (Lane) Wise in Parsons, Kansas. James was proud of his country and served over 4 years in the Air Force and Reserves. Over the years, James held many memberships. He was a proud member of the Boys Scouts, as well as, several others like, Pipeliners, Society of Underwater Technology, Mensa, and ARRL. He was also a member of the Sigma Tau Gamma and the Honors Math Society. James was preceded in death by his parents. 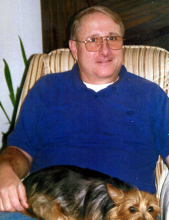 James is survived by his wife, Paula of 56 years, two sons Christopher L. Wise and wife Stephanie of Tulsa, Oklahoma and Brent N. Wise and wife Lori of Haskell, Oklahoma, six grandchildren, Gabrielle Reagan and husband Wayde of Haskell, Oklahoma, Jacob Wise and wife Kendra of Haskell, Oklahoma, Atticus Wise of Tulsa, Oklahoma, and Grace Wise of Haskell, Oklahoma, Sophia and Andrew Wilson, both of Tulsa, Oklahoma, two great grandchildren, Mason Wise and Molly Reagan, both of Haskell, Oklahoma, one sister, Belen Gresens of Arlington Heights, Illinois, one sister-in-law, Karen Donaldson of Spavinaw, Oklahoma, one brother-in-law, Tom Skelton and wife Claire, two nieces DeDee and Shari, and four nephews as well, Daniel, David, Scott and Clint. The Celebration of Life Services for James will be held Saturday, March 9, 2019 from 1:00 to 3:00 pm at Burckhalter-Highsmith Funeral Home Chapel. Arrangements are by the Burckhalter-Highsmith Funeral and Cremation Services of Vinita. Online condolences may be made at www.highsmithfh.com or our Facebook page. To send flowers or a remembrance gift to the family of James L. Wise, please visit our Tribute Store. "Email Address" would like to share the life celebration of James L. Wise. Click on the "link" to go to share a favorite memory or leave a condolence message for the family.